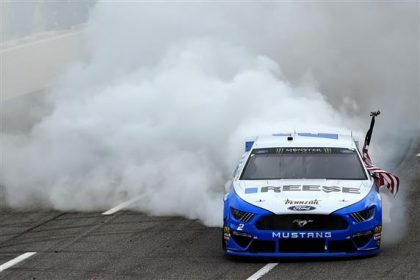 Brad Keselowski didn’t just win the race at Martinsville, he flat out dominated the race. Kes won both stages and led 446 of the 500 laps. Even though the racing was “closer” than it had been at the mile-and-a-half tracks, I would call this a whoopin’. Chase Elliott was the only driver that seemed to have anything for the 2 car. Elliott led 49 laps and seemed stuck in second place nearly the entire race. He would get close to Keselowski only to see Kes sneak away. Joey Logano started on the pole but quickly faded and finished 19th after leading just 5 laps. Penske teammate Ryan Blaney started 17th but they knew that they had a stout car. Blaney was the epitome of patience and drove his way to the front and a 4th place finish. Kyle Busch eventually got up into the top 5 and made life hell for Chase Elliott. As much as Elliott wanted to go after the 2, he spent a lot of his time late in the race fending off the 18. 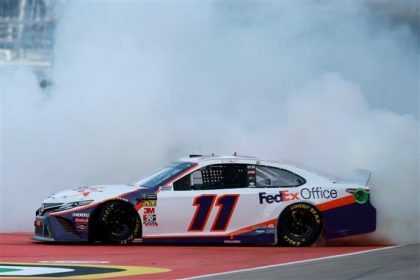 Denny Hamlin had two speeding penalties and still managed to finish 5th. Clint Bowyer had a tire get away on pit road forcing a penalty, but he managed to get back to 7th. That’s what we call passing a lot of the same people unnecessarily. Overall, it was a pretty decent race for Martinsville and the season’s first short track race. I’d give the race grade of C+. The crowd was smaller than expected again and there was a lot of green flag racing even though there was sufficient paint being traded. But drivers stayed pretty calm and focused on racing. There were some definite losers to look at. Jimmie Johnson was three laps down at one point and finished 2 laps off the pace in 24th. 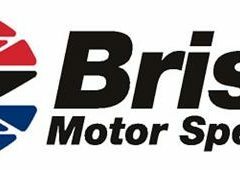 Johnson has won a lot of Martinsville races and with Chase in 2nd and Alex Bowman in 14th (which is not indicative of his day), you have to wonder just what is going on at Hendrick and with Chevrolet. Chase Elliott was the lone Chevy to finish in the Top 10 but Team Chevy put 8 cars between 11th and 18th and several of those ran in the Top 10 during the race. And while Jimmie Johnson may be the biggest name not contending for wins right now, Kyle Larson has only two Top 10 finishes so far. Teammate Kurt Busch has twice that plus two Top 5 finishes. Even so, only three points separate the Ganassi drivers. Elliott, Busch and Larson sit 9th, 10th and 11th in points, respectively. Everyone in front of them drives a Ford or Toyota. That can’t be sitting well at Chevy HQ considering the effort they put into the new Camaro. Next up is another mile-and-a-half track, Texas. 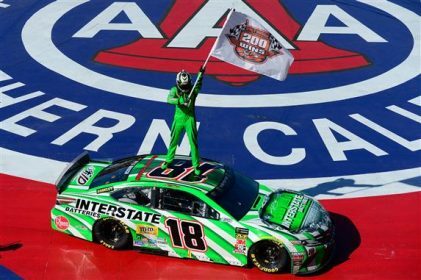 Kyle Busch won the April race last year and Kevin Harvick the November race. Harvick has been a bit off all season while Kyle Busch leads the points. If I were a betting man, I’d be looking at Kyle Busch. If I wanted to make some money, I might put it on Ryan Blaney, the only Penske driver yet to win. He runs well at Texas and if they can show the same kind of speed and patience, they could wind up in Victory Lane. 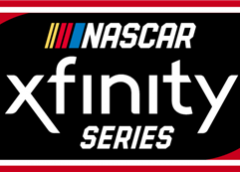 And watch for new qualifying rules at Texas. NASCAR has had enough of the team shenanigans and is implementing new rules. If a driver fails to make a lap in the later sessions, you don’t get to fall back on your previous speed. That driver will start at the back. That should put an end to that. For more of Chuck’s columns, click here.